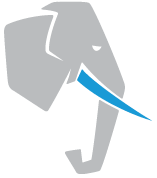 The United States PostgreSQL Association, a 503(c) non-profit, underwrites Postgres Open. Purchasing of tickets and tutorials will be done via the Postgres Open payment gateway transacted by our partner Braintree. Purchasing transactions may take up to 48 hours to appear on purchaser’s credit card. Please allow 10 days of processing time for refund requests. To inquire about a refund please email treasurer@postgresopen.org. Postgres Open ("us", "we", or "our") operates www.postgresopen.org (the "Site"). This page informs you of our policies regarding the collection, use and disclosure of Personal Information we receive from users of the Site. By visiting our website and using our servers you agree to comply with the terms and conditions of this Acceptable Use Policy.